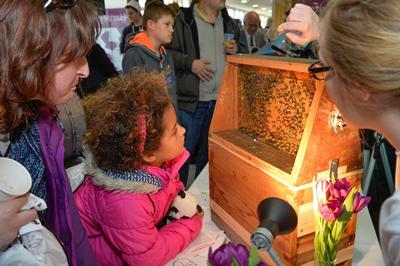 Octavia Willoughby (left) getting hands on with an animal demonstration from last year's Festival. 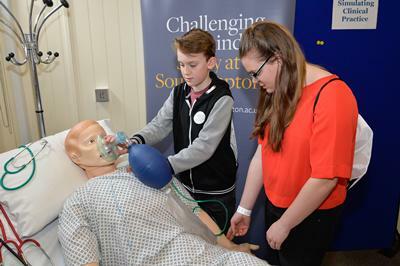 Find out how science shapes our world, from the importance of bacteria to discoveries in the solar system and beyond, at the University of Southampton’s award-winning annual Science and Engineering Festival. The festival, which is part of British Science Week, includes the ever-popular Science and Engineering Day on Saturday 12 March. 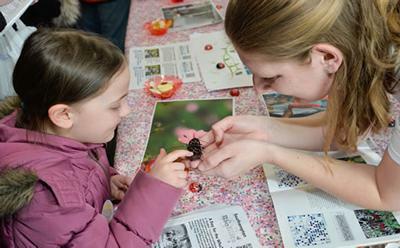 This year, the event offers a refreshed format, with a range of activities from the University’s Ocean and Earth Day being incorporated into Science and Engineering Day. These will complement a number of exciting new exhibits based on our recently established maritime-focused Boldrewood Innovation Campus that we share with Lloyd's Register. Science and Engineering Day takes place from 10.30am to 4.30pm (last admission 4pm) with fascinating exhibitions, interactive displays, talks and shows. This stimulating and fun day is free and there will be lots to see and get involved in for all ages including: wearable technologies; the health of your home; the secrets of animal bones; virtual musical instruments; stem cells; knee replacements; memory loss; gravitational waves from colliding black holes; and much more. Tours of the RJ Mitchell wind tunnel, where Britain’s Olympic athletes conducted testing ahead of their Gold medal success. Explore the fibre-drawing towers and clean rooms, which produce the optical fibres that power the Internet and global communication networks. Practical demonstrations of ship science and examples of Autonomous marine vehicles in the new state-of-the art 140m towing tank. Visitors will be able to enjoy over 100 shows, tours and hands-on activities, including Festival favourites such as the Southampton Astrodome, the Light Express Laser Show, Railway Research laboratory and Ian B Dunne’s ‘Science Magic...Magic Science’.